Why should Virginia Wesleyan University value its relationship with the United Methodist Church? It is part of our heritage. Virginia Wesleyan University exists because of the sincere desire of the United Methodist Church to promote higher education. The school was chartered in 1961 by a grant from the Virginia Conference of the Methodist Church. 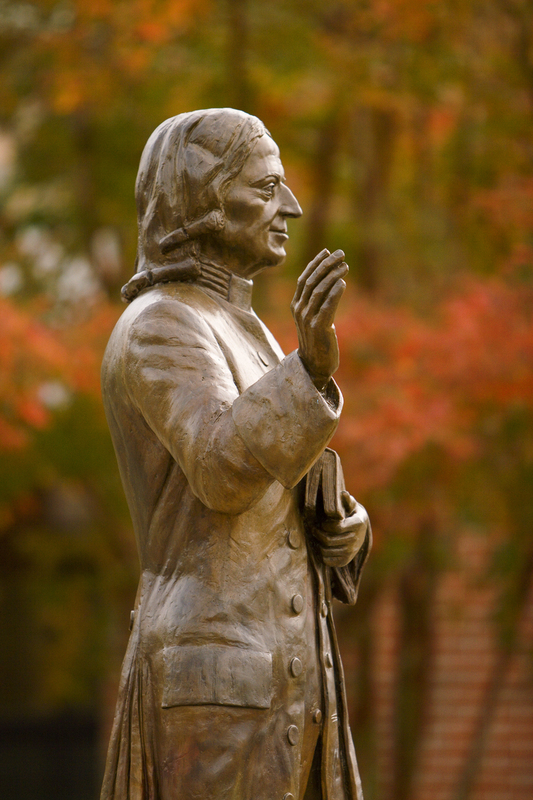 Our very name comes from John Wesley, the founder of Methodism. Is our relationship with the United Methodist Church compatible with a liberal arts university? The intent of Virginia Wesleyan's charter was to create a church-related liberal arts university that would encourage critical and independent thinking among students of all religious and cultural backgrounds. Virginia Wesleyan has never used religion as a test in hiring employees or for determining the eligibility of students for admission. Does the Church restrict speech, thought or inquiry? The United Methodist Church has never tried to interfere with free speech or expression on campus. Law, societal standards and respect for others determine school policy on such matters. The University has also been free to set its own standards in the area of curriculum, without guidance by the Church. Why should non-Methodists care about the University's relationship with the Church? The answer might have to be a more practical one, involving simple economics. Everyone at Virginia Wesleyan, regardless of religious belief (or non-belief), receives a financial benefit from the school's relationship with the United Methodist Church. The Virginia Conference of the United Methodist Church is the largest single donor to Virginia Wesleyan's Annual Fund.